Adam is an accomplished actor but lately has been steering more towards a career as a Writer/Director with his acclaimed first feature film Backcountry. The film had its world premier at TIFF 2014. Born in Montreal, he now resides in Toronto with his wife. His other directorial works include three short films; Sombre Zombie 2005, KillerKiller 2007, and In the Dominican 2010. 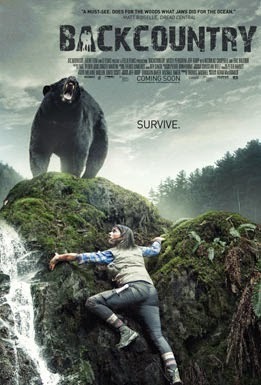 Backcountry is a remarkably good man vs animal tale. I see a ton of genre films and rarely do I get as caught off guard as I was with Adams film. Backcountry is currently in select theaters and available on VOD.